We all know how important hair is to our appearance. Hair is one of the first features noticed by both males and females in each other during their first encounter. 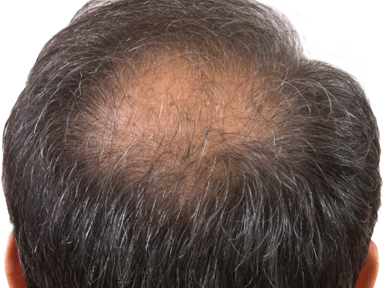 Approximately 40% of men in North America will experience noticeable hair loss by the time they turn 35. Chronic hair loss results in the loss of an average of 100 hairs each day. If you feel you are losing hair quickly or balding patches are becoming visible, you may be a candidate for this effective solution to hair loss. Our Hair Rescue Treatment Program can be used to treat both male and female pattern hair loss, and can be done as a treatment on its own, or in conjunction with prescription medications. Schedule a Hair Rescue Consultation with Dr. Barr. PRP refers to Platelet Rich Plasma. Our blood contains several proteins and growth factors that can stimulate our body’s ability to heal wounds and bones, and repair soft tissue. During Platelet Rich Plasma therapy, your blood will be collected in a specialized collection tube that allows Dr. Barr to concentrate and separate your platelets and serum from the other cells in your blood that are not needed and that can be counterproductive in our goal to stimulate the healing properties of PRP. PRP can be placed in areas of the body where the growth factors from the platelets stimulate migration of multiple different cells to promote healing or repair of the tissues in the area. This process can be used to rejuvenate and thicken frail areas of the skin, diminish skin discolouration and melasma, and diminish pain in arthritic joints. 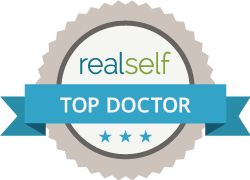 Dr. Barr has used PRP in many areas of his practice for years and has extensive experience with this revolutionary treatment. 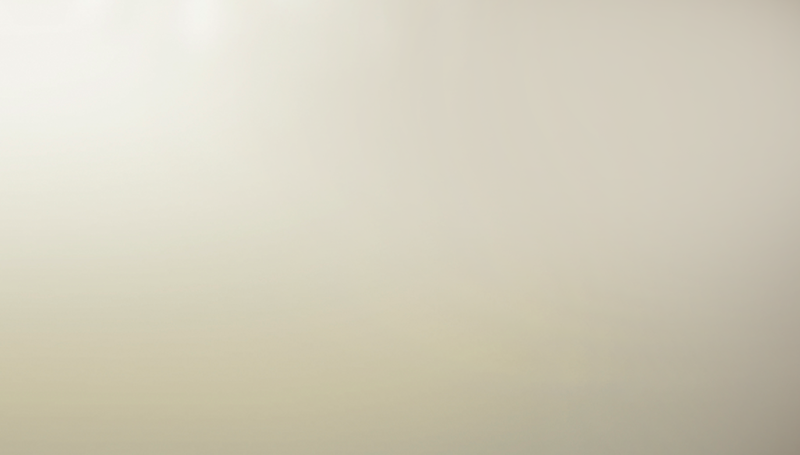 While PRP therapy has only recently gained traction in some areas of aesthetic medicine, it has been used in sports medicine, oral surgery, cardiac surgery and orthopedics for over 20 years. There are many clinical papers supporting its significant healing effects. How is PRP used in the Hair Rescue Treatment Program? Your blood is drawn in a specialized collection tube that permits the concentration of the platelets and serum and separation of these components from the remainder of the cells in the blood sample taken. The blood is then spun in a centrifuge during which the platelets and serum (the liquid) are separated from the remainder of the blood by a specialized membrane in the collection tube. Your PRP is then mixed with other proprietary medications and nutrients to optimize hair regrowth. 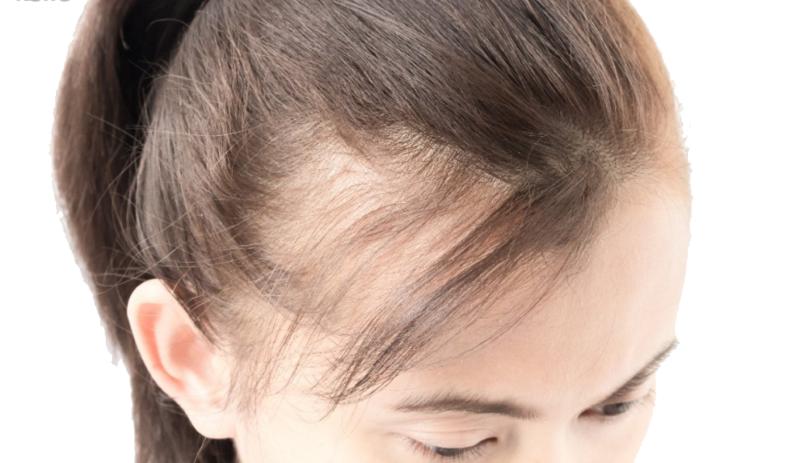 The scalp is numbed with local anaesthetic and the proprietary PRP formulation is then injected into the areas of your scalp experiencing hair loss. In addition to the series of medical injections, the area is treated with our microneedling protocol to facilitate the stimulation of the hair follicles. This formulation contains a much higher concentration of growth factors than are regularly found in blood. Studies show that these growth factors promote blood vessel formation and growth, cell replication, elastin and collagen formation, and growth of specialized cells. In your scalp, this specialized formulation reduces and/or reverses hair loss by stimulating inactive follicles into a longer anagen (growth) phase of the hair growth cycle. It is thought that this process can reset the “environment” around the hair follicles and decrease the susceptibility of the hair follicles to the negative impact of DHT, the hormone responsible for male pattern baldness. Are There Any Contraindications to the Hair Rescue Treatment Program? Patients will need to be assessed by Dr. Barr to determine if they are candidates for the Hair Rescue Treatment Program using PRP Infusion Therapy. The ideal candidate for this treatment is a healthy patient with reasonable expectations of outcomes. They should have no serious or chronic health conditions that could affect their ability to heal. Patients will need to avoid certain supplements and medications prior to treatment. These will be outlined for patients during consultation. How much does a Hair Rescue procedure cost? The Hair Rescue procedure and treatment program is customized for each patient. Prices are provided at the time of consultation. Patients choosing to pursue this program have many options available to make this investment more manageable. Our Patient Coordinators are familiar with various payment options and can facilitate the process for you. The Hair Rescue procedure is not covered by private or provincial insurance such as OHIP. The facility fee, surgeon, nurses, anaesthetic and treatment supplies, and equipment used are all covered in the procedure fees. There is a $500 deposit required and payable upon scheduling a surgery date. This fee is non-refundable should you change, reschedule or cancel your surgery within 4 weeks of the procedure date. What Can I Expect With the Hair Rescue Treatment Program? This is a natural and organic treatment for hair loss. Your own blood components are injected into your scalp, so it is hypoallergenic and easily tolerated by your body. One of the other medications added to the PRP is derived from porcine tissues, so a patient must be free of allergies to these tissues. Most patients experience only minimal discomfort due to the local anaesthetic used to numb the scalp prior to the treatment. Some patients may experience mild swelling and minor itching for a few days following the procedure. Overall, patients have a high tolerability of the procedure and enjoy its benefits and safety profile. Most patients find that only one or two treatments are required to generate a satisfactory amount of hair regrowth.